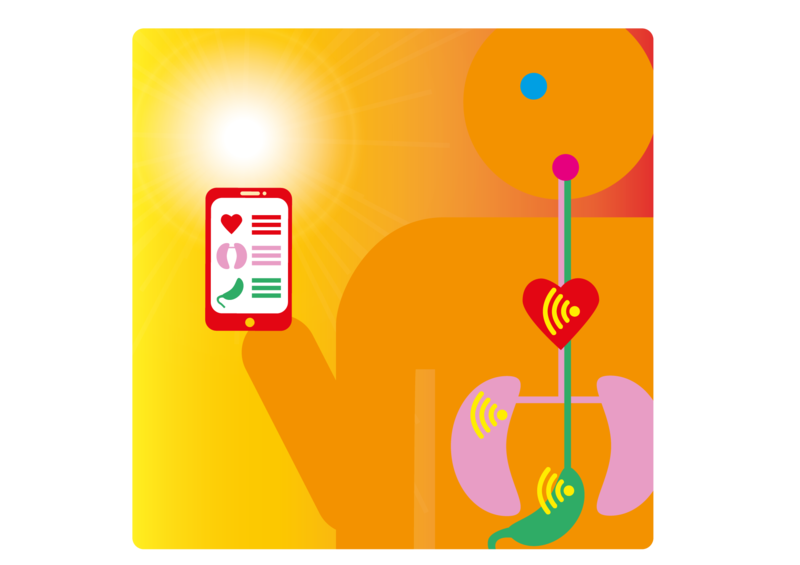 The explosion of connected items, especially those monitored and controlled by artificial intelligence systems , can endow ordinary things with amazing capabilities—a house that unlocks the front door when it recognizes its owner arriving home from work, for example, or an implanted heart monitor that calls the doctor if the organ shows signs of failing. But the real Big Bang in the online universe may lie just ahead. Some of the most advanced nanosensors to date have been crafted by using the tools of synthetic biology to modify single-celled organisms, such as bacteria. The goal here is to fashion simple biocomputers that use DNA and proteins to recognize specific chemical targets, store a few bits of information, and then report their status by changing color or emitting some other easily detectable signal. Synlogic , a start-up in Cambridge, Mass., is working to commercialize computationally enabled strains of probiotic bacteria to treat rare metabolic disorders. Beyond medicine, such cellular nanosensors could find many uses in agriculture and drug manufacturing.